This entry was posted in Dollar General, Hauls and tagged Baby Products, Dollar General, Haul, Ibotta, Mobile Coupon, Personal Care on December 3, 2018 by Kayla Nizi. This entry was posted in CVS and tagged Baby Products, CVS, ExtraBucks, Printable Coupons, Stack, Store Coupon on February 11, 2016 by Kayla Nizi. This entry was posted in Coupons and tagged Baby Products, Coupon, Printable Coupons on February 11, 2016 by Kayla Nizi. This entry was posted in Kroger and tagged Baby Products, Healthier Options, Kroger, Mega Event, Printable Coupons on July 30, 2015 by Kayla Nizi. 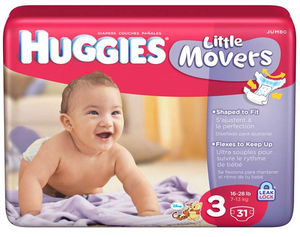 $3.66 Huggies Diapers Jumbo Pack! This entry was posted in CVS and tagged Baby Products, CVS, ExtraBucks, Print Now Save Later, Printable Coupons, Upcoming Deals on July 30, 2015 by Kayla Nizi.